Sunday’s are normally awash with transfer speculation but today is different. Rumours are scarce as the media world concentrates on the forthcoming 2018 World Cup. However, despite the scarcity of any transfer speculation, the name of Jack Grealish continues to be linked with a move to Tottenham Hotspur. But what’s the view, on the subject matter, from those who frequent the social network sites? It appears to be a mixed reaction but, hopefully, it’ll start a lively debate on Vital Spurs to keep us all entertained. But is the word ‘fantastic’ the aptest description? 40million for someone in the championship. How does he improve our squad ? It’s a valid comment, I can’t recall many players coming from a Championship side that have commanded such a high fee, can you? Wouldn't be against signing him but given context of us needing a couple of 1st team players to get where we need to be, signing a decent lower league prospect to pad the squad out should not be a priority. If we get a centre back, a centre mid, a striker AND Grealish then great. Would the funds stretch to the requirements listed above? If Grealish joins Spurs he will need to pull his socks up ???? 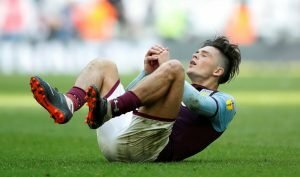 So, returning to Grealish, what are your thoughts? 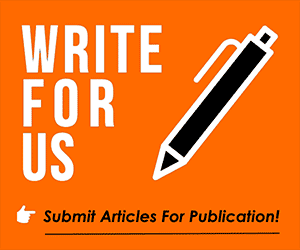 Please feel free to air your opinion in the comments section beneath this article. Perfect Spurs signing if at a reasonable fee of around £15-£18 mil bracket. I can see within a season how much Grealish will massively improve under Pochettinos guidence and with his team mates support. Ideal signing to nurture and replace Dembele with. Have I just woken up from hibernation? Can someone tell me why we’re interested in Freakish? ‘Cos I’m not sure I’d want to spend a bag of chocolate money on him. Didn’t mean to call him freakish! If he was that good why haven’t we bid for him before? As I see it, Spurs have a great squad of players now, but we are definitely missing that extra special player/s, a game changer, the creative player/s that can make Spurs a formidable force. Personally, I don’t think Grealish is that player. Is he just another investment for the future, l would prefer a signing that when the Spurs players are in the tunnel next season they think “great he’s with us” somehow l don’t think Grealish will have that affect. Still l can’t stop looking at our new ground as my daughter would say its Awesome. Grealish aint going to improve the team at all so I don’t see the logic in it, we need quality players . To those who think we need to sign players who already are well known world class: Kane, Dele Alli, etc., were not world class well-known players when they arrived in our squad. We’ve climbed into a consistent top of the table club and have had much CL success with players like Kane and Dele, who didn’t cost us our future when we paid to bring them in. Give me more of these. Yes, we need quality players, but we don’t need to sell our future down the sewer to get them. I think Grealish has great potential. He has a good engine, likes a tackle, has an edge on his self, and is an excellent footballer, and under MP’s guidance could blossom. Yes we have a few MFers, but apart from Ali we don’t have a forceful box to box player, I think in a good side Jack Grealish could become an excellent and influential player, and in addition to all that, he is a home grown player. An average player with so-called ‘potential’. We have had our fill of those. The key thing for the club is resale value, not pitch value. Being an average player, he is of course better than Lamela. People keep highlighting Sissoko. Lamela has had 5 years to make any kind of impact. None has been seen. Goals and assists are decidedly lacking – as they are with Grealish. What we would have with Grealish is a squad player who will go up in value. Comparisons with Dele are unreasonable – though Dele came from a lower division. They are nothing like each other. In 2014-15 Dele made 39 appearances for MKD and scored 16 goals. Last season Grealish made 27 appearances for AV and scored 3 goals. Like Lamela, he has to be shown where the goal is and led there. Good value for a resale. Poor value in regard to the quality we want to come straight into the team and make a big difference. We would be looking at the likes of Martial for that. We would be talking £50 million not £15 million. I like Freakish for the nickname for Grealish. Bring him in and call him Freakish. that’s reason enough for me. I agree with Brian. Girlish (ooops, Grealish) isn’t ” Dare and take Risk” type of signing that Poch was talking about. I can see the economics of the deal lighting up Levy’s eyes though. Poch can try his wand on him, if it doesn’t work, we’d get more on resale. Jannsen’s apparently worth more than we paid….no doubt N’Jie, N’Koudou, even Onomah can bring few quids in. No ins until outs are sorted…i.e., let’s wait for the WC to take the market one notch higher…and hunt in the bargain basement in LevyTime. Spot on Critical. We can speculate till the end of time but unless there are outgoing I cannot see Levy sanctioning incoming – especially as he has released the purse strings on pay. No one can force a player to go – unless they pay them off at sky high rates. No one can force another club to buy a player – especially at the fees Levy will expect. None of the speculation explains how we will offload players that are excess to requirements. I have my own list and doubtless others have theirs. I would be happy to get rid of around four so-called stars and I would get rid of two for one of Martial. People talk about Poch bringing on the likes of Grealish, so let’s save some cash,not buy him and use the ones we already have that Poch has brought on. I believe we have some exciting youngsters, so let’s see them. This does not disguise that we need one or two top quality signings. Even one might do it. I want someone who scores and creates assists. We have a bench with a few who cannot do either, yet they are supposed to be attackers and ‘stars’. If we are going to take a championship player, lets go for someone more productive like James Maddison who had 14 goals, 8 assists this past season. He has the potential to replace Ericksen without a drop in quality. I would take him at 25 million, I would not take Grealish even at 15. > If we are going to take a championship player, lets go for someone more productive like James Maddison who had 14 goals, 8 assists this past season. Yes B! Someone who talks my language. End product! Too many of them have nothing to show for it – and we have enough of those. This is why I would pay £50 million for Martial. Proven in the PL. His figures do not seem so good, but when you look at per 90 minutes they are very very good. Goals and assists. As a Villa fan, I think he would make the step up, he needs quality around him and the Championship opposition just kick him to shite with no proper ref protection. I think he could do very well for you. He may well do JP. The problem is we have had numerous players with ‘potential’. Numerous players that needed to be ‘nurtured’. We have some sparkling youngsters not much younger than Grealish. We do not need to buy more. We need proven end product talent of the likes of Martial. There is no criticism of Grealish in any of that. I just do not think he is what is needed right now, even as a squad player. We have enough of them with no end product. We need an attacking midfielder who score and provides assists. All the kill and wonderful bits and pieces means nothing to me unless it ends in something. Grealish has poor stats. 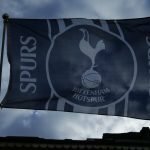 He may produce better at Spurs – but he may not. Must admit out of Grealish or Maddison there is only one winner and it ain’t the Villa lad. Maddison is a massive talent, I’m surprised we are not linked. Grealish didn’t even make the Championship team of the year. That midfield trio was Cairney, Maddison and Neves. It’s Neves that we should be trying to get into our line-up. The guy is class. Great. We have three sitting on the bench who do that. None score goals or provide assists. Why get another of the same ilk? Brian I agree with you re getting a better quality player at this juncture. Two years ago I would not have as I could see what we were trying to do, ie build a good team. We have accomplished that and now we need to push on with players who are ready to compete for first team time from the onset. We started that in January with the purchase of Lucas Maura who was surplus to PSG’s needs but a quality player. He has had a half season to get an understanding of Poch’s philosophy and methods and will have a full preseason to be completely au faire with it and therefore I expect him to be a major player for us this coming season. Our problem is moving the players we no longer want, especially foreign players and especially N’Koudou and Janssen who we will take losses on. Even more than that we need to move a further 2 foreign players in order to be able to bring in 1 or 2 other, better foreign players. That may mean moving players like Toby, Dembele and Sissoko. Of course the first two are at the WC and the latter probably has no intention of leaving and maybe Poch doesn’t want him to go. When I see us being linked to every player in Europe and suggestions that we will replace Rose with a Portuguese LB I just laugh as it simply would make absolutely no sense to do that. I think we will move Janssen and N’Koudou very shortly and bring in someone like Malcolm but I don’t expect ManU to allow Matial to come to us and we should not give them Toby unless they do. It will be an interesting month. We will make some moves before end of June. Could well be the next Bentley. I think if we are looking to buy kids that Poch can turn in to ‘double you money’ resales, may as well stick with promoting from our academy. Keep buying potential – and seeing 4 of the last ‘potential’ signings are in the departure lounge – will only get us so far. Moving in to the new stadium, looking to attract bigger crowds, increase revenues, blah, blah…. we need to escape that mindset. Time to start behaving like a regular top 4 team. Levy’s got the ball rolling with wages/contracts….let’s follow it through with signings that will help keep us on the upward trajectory. 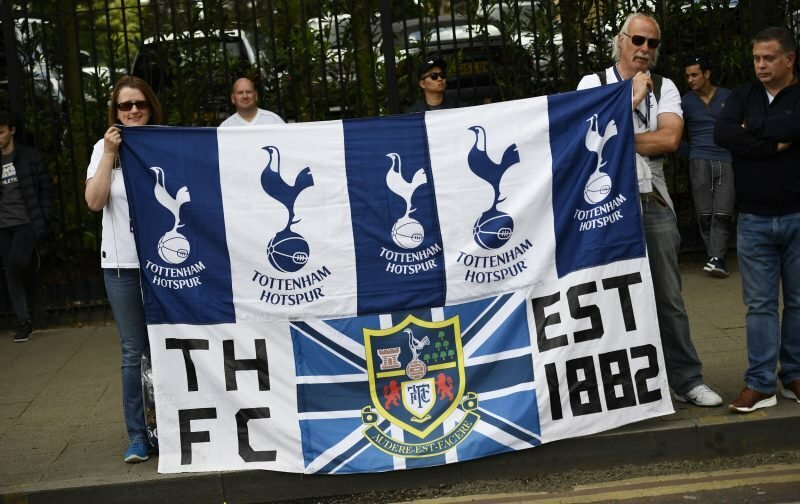 COYS!